As G.W. Bailey tells Tom Berenger in Rustler’s Rhapsody … “A little late, big guy.” Why hasn’t Ralph Northam done Democrats a solid and resigned in order to begin the “redemption” quest that Cory Booker and others prescribe? According to a CNN source, Northam told his Cabinet that resignation now would mean being branded a racist for life, and that redemption can only come while he remains in office. Not one member of the Cabinet offered a resignation, nor did any threaten to resign, the source said. This person said there was tension in the room and that many expressed concern that, despite the governor’s desire to clear his name, he would be unlikely to regain the confidence of Virginians. The Cabinet members are collectively “struggling” over this situation and not one of them thinks he is a racist — but his explanation about what happened 24 years ago is “untenable,” said the source. Booker tried pre-empting that argument yesterday, but it makes some sense. Once Northam submits his resignation, his public life is over. It’ll be over once this term is over anyway, but that’s almost three years away, a period during which Northam will still get media attention. Ask George Allen whether the media’s been interested in his own “redemption” quest after the “macaca” comment since he left public service, a momentary lapse that looks comparatively misdemeanor-ish now. Northam’s right, but it’s also a risk. The only way to get a public vindication — or at least credit for public atonement — is to stay in public. The problem with that strategy is that this is one of those sins for which public atonement is well-nigh impossible, especially among Northam’s political circles on the Left. 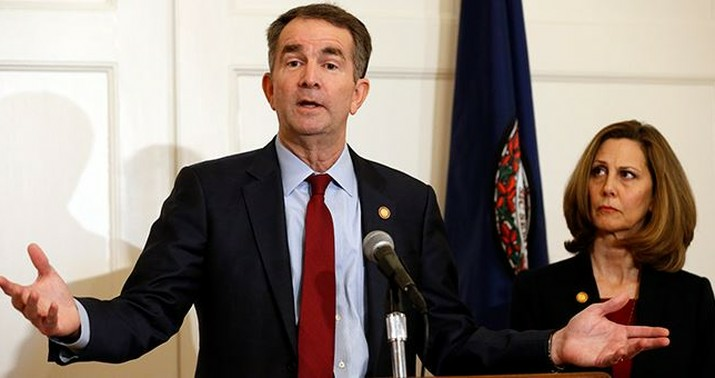 Even if Northam can prove that he’s not either of the two men in the picture, he’s already admitted to dressing up in blackface another time, and the selection of that picture for Northam’s yearbook page has never been adequately explained either. The most likely outcome of this strategy is three years of public beatings in the media, for Northam and anyone connected to him. His Cabinet may “all love the governor,” but they’re not going to stick around long for that, and Northam’s going to have a very tough time finding replacements when they bail. The No. 1 rule of political scandal is that you can almost always ride it out. President Clinton had been Exhibit A, at least until Donald Trump rode out the Access Hollywood tape and ended up in the White House. A whole host of lesser officeholders have overcome unsavory improprieties, including Republican Sens. David Vitter (DC Madam) and Larry Craig (“wide stance”). Even former Gov. Mark Sanford was elected to Congress after straying on the Appalachian Trail. Iowa Republican Steve King, the recent subject of much deserved scrutiny for racist comments, is still in Congress. Democrat Chuck Robb rode out allegations of an affair with a former Miss Virginia USA while he was in the Senate, and reports about cocaine parties in his Virginia Beach circles when he was governor. The late Democratic Sen. Robert Byrd ascended to become his party’s leader even though as a young man he had been a member of the Ku Klux Klan. Northam might well be thinking that the Trump strategy will work for him. It will keep him in office, but that’s Northam’s choice anyway. It won’t do much for redemption, especially among the Democrats and people on the Left who would have to provide it. They’re not interested in redemption anyway; they just want Northam out so that they can keep up partisan attacks on Republicans. The entire situation is “untenable,” just as it was on Friday, and it won’t get better with age.